using what you have... when you have it. but more efficient as well. my small items are then placed in small trays set on top. or simply had on hand and simply repurposed. but rather a solve that works. (which by the way is actually a thermal blanket... more about that a different time ). my perfectly lit makeup 'table'. in order of application as well. repurpose a shot glass from rag&bone to be sure. keeping my mirror trays tidy. just adds efficiency to a life full of gratitude. Another wonderful post. 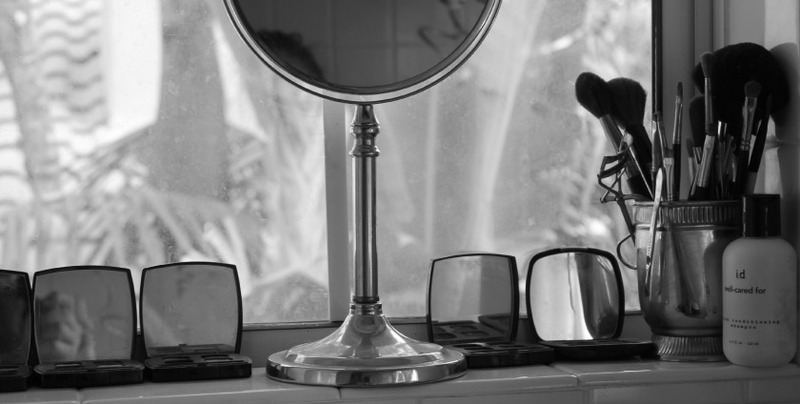 It's funny because I keep my make-up by the bath tub, too. And...I keep a set of tweezers in my car. The best light is outside so I wait until the street is deserted. Then I scamper out to the car in the driveway to groom my brows! Oh I have done this tweezer trick too! The light is always the best in the car mirror! When I had to drive and pick up my kids... I would park far away.. and tidy my brows while I waited...so happy to hear I am not alone in seeking the best light :). I do too now, it's always in the car that the full horrors are spotted. Just last week hubs said, you have a hair growing above your top lip, it's repulsive, pfft, don't be ridiculous I said, gulp there it was, big and black, how did I miss that? Fabulous post Tamera. I so love how you utilize every space and the idea of framed mirrors as trays. I've never kept my make-up by my bath as I was always worried that steam from the bath would effect them-but clearly not. However, when I am living in Spain all makeup goes in the fridge. Have a lovely, glamorous and beautifully-styled weekend. Wow, you have masses! I have a tiny box of make up but still the same as you, YSL mascara and BE foundation. 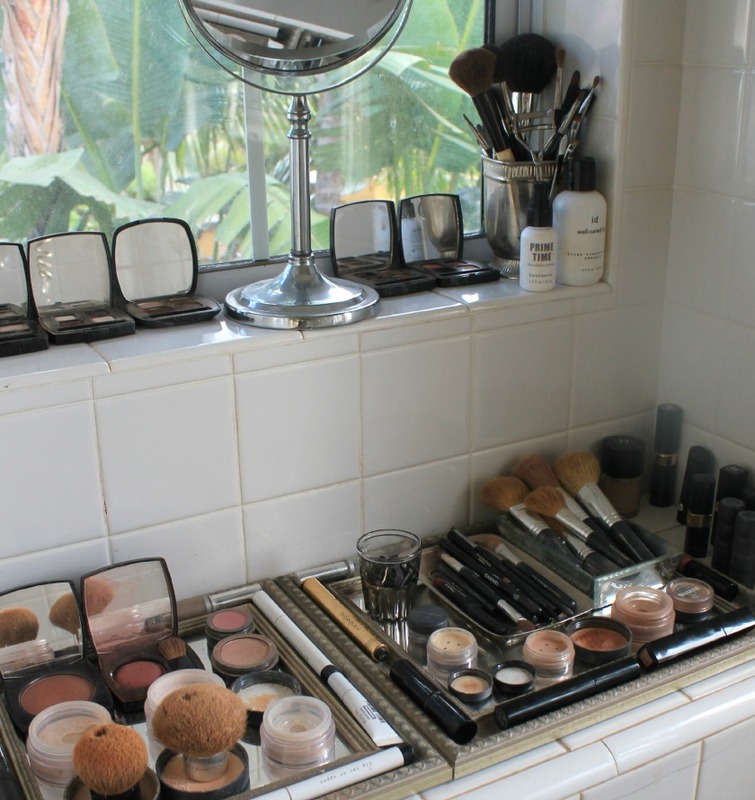 Love the framed mirrors as trays...wish I had a space to do this! You have the best ideas and this is one that is priceless. 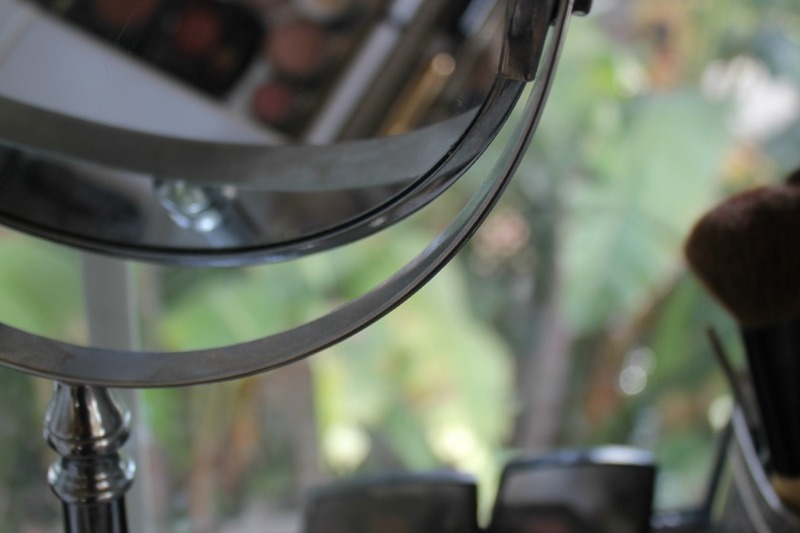 Not only that; the makeup organization relates to all other areas of our life as well! Great ideas, very inspiring and ooooh wow you have the most amazing array of makeup! Loved this post! 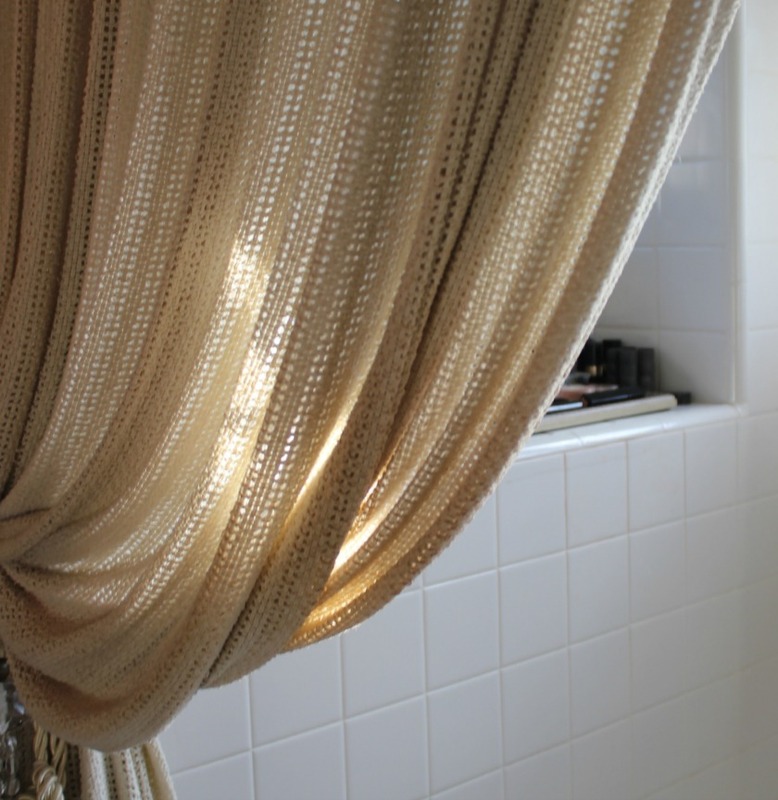 Practical, personal and I love that you use what you have and make it all so beautiful! Ok, my friend, I am now convinced that every tiny little element and activity in your life is an art and an incredibly beautiful one at that. 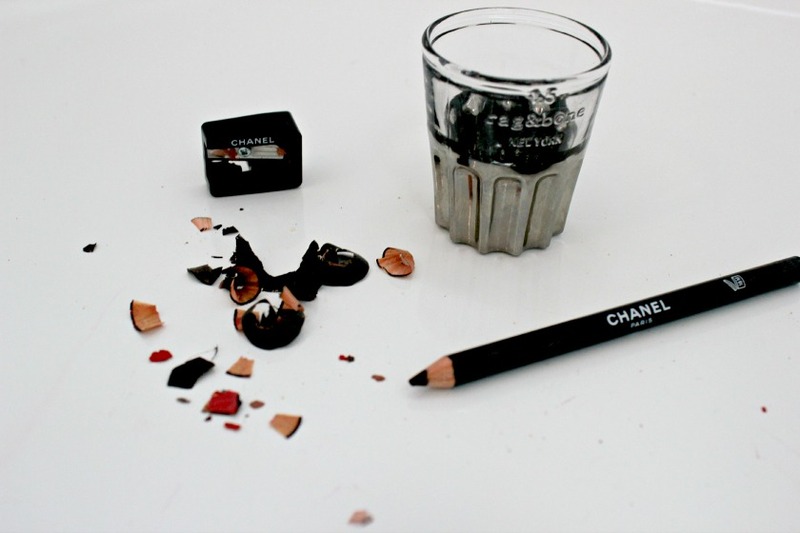 This make-up idea and another breathtaking posts. You are amazing and so inspiring. Tamera, I am so impressed with how organized you are here. Look at all those brushes! You are right on.. it's always ALL about the lighting and I might add that the less is more at my age!! 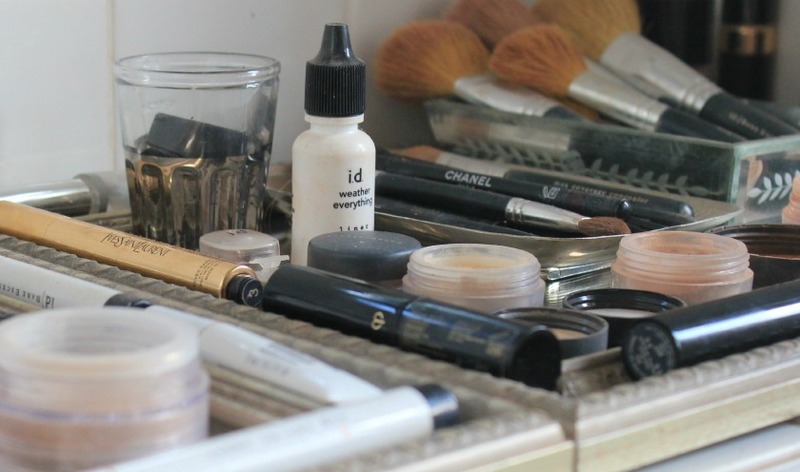 I attempt to keep my make up organized in drawers, however it ends up on the counter and a bit messy. It really does need to be out .. and visibly accessible. Looks like you have everything you need here! My vanity looks like a chemistry lab as I am constantly trying something new for work so things are not very organized. Thanks for sharing.. great post! 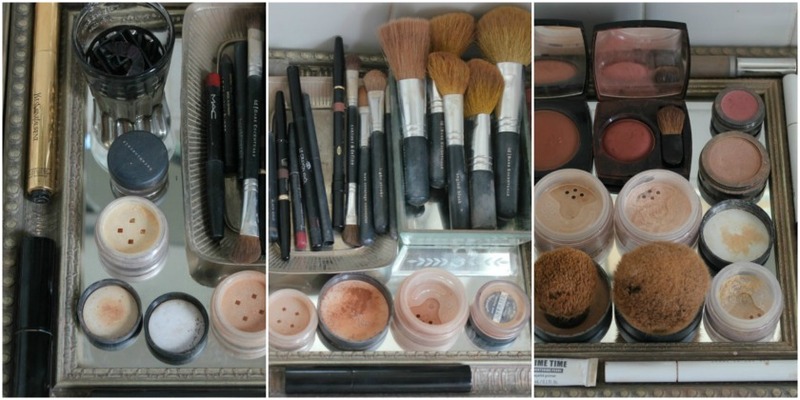 I finally have my makeup perfectly organized and it makes getting ready so effortless. I use a lot of divided organizers from Bed Bath and Beyond. 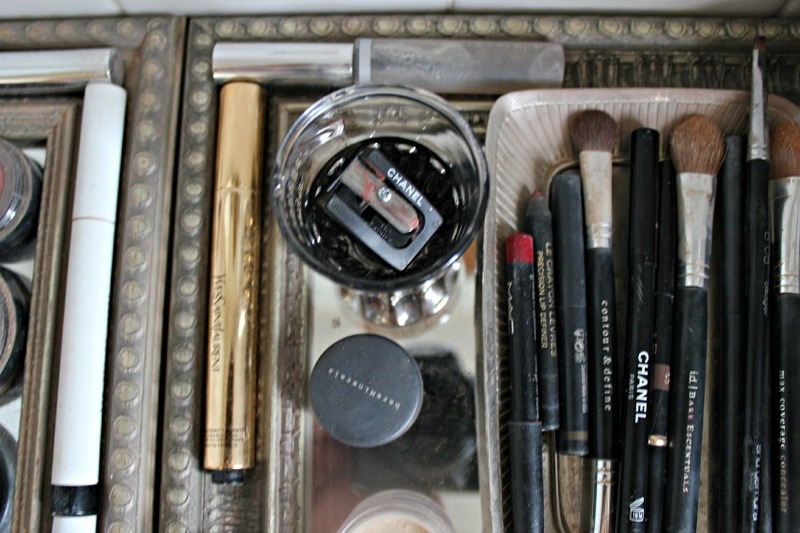 I finally am able to keep all my makeup off the countertops and out of sight, organized neatly in drawers. It makes my bathroom look so sleek and clean.